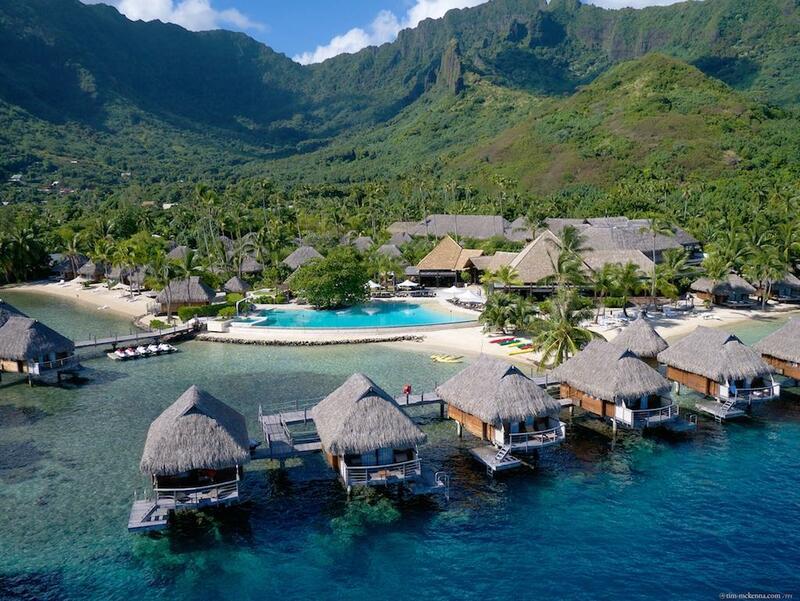 يشكل Manava Beach Resort and Spa - Moorea بموقعه الممتاز في المدينة نقطة انطلاق جيدة لاستكشاف أفضل ما فيها من معالم ومناطق نابضة بالحياة. يمكن من هنا للضيوف الاستمتاع بسهولة الوصول إلى كل ما تقدمه هذه المدينة النابضة بالحياة. يقع هذا الفندق الحديث على مسافة قريبة من المعالم السياحية الشهيرة. استمتع بالخدمات الراقية والضيافة التي لا مثيل لها بهذا الفندق في هذه المدينة رائعة الجمال. يقدم الفندق فرصة للاستمتاع بشريحة واسعة من الخدمات بما فيها: خدمة الغرف على مدار الساعة, واي فاي مجاني في جميع الغرف, مكتب الاستقبال على مدار الساعة, مرافق مخصصة لذوي الاحتياجات الخاصة, تسجيل وصول/خروج سريع . بالإضافة لهذا، تتضمن كل غرف الضيوف مجموعة واسعة من وسائل الراحة . بعض الغرف توفر حتى تلفزيون بشاشة مسطحة, قهوة فورية مجانية, شاي مجاني, بياضات, صوفا لإرضاء أكثر الضيوف تطلبًا. يقدم الفندق خدمات رائعة كمثل كنو, الغوص السطحي, حوض استحمام ساخن, شاطئ خاص, ساونا لمساعدتك على الاسترخاء بعد نهار طويل من النشاط والتجوال في المدينة. مهما كانت دواعي سفرك فإن Manava Beach Resort and Spa - Moorea هو خيار ممتاز لإقامتك في المدينة. اعتبارًا من 1 يناير 2019، سيتم فرض ضريبة المدينة بقيمة 200 فرنك فرنسي باسيفيكي للشخص الواحد في الليلة الواحدة. We stayed three night in a premium over water bungalow and it was fantastic. It lived up to the pics and descriptions on the website. The staff were very friendly and helpful. 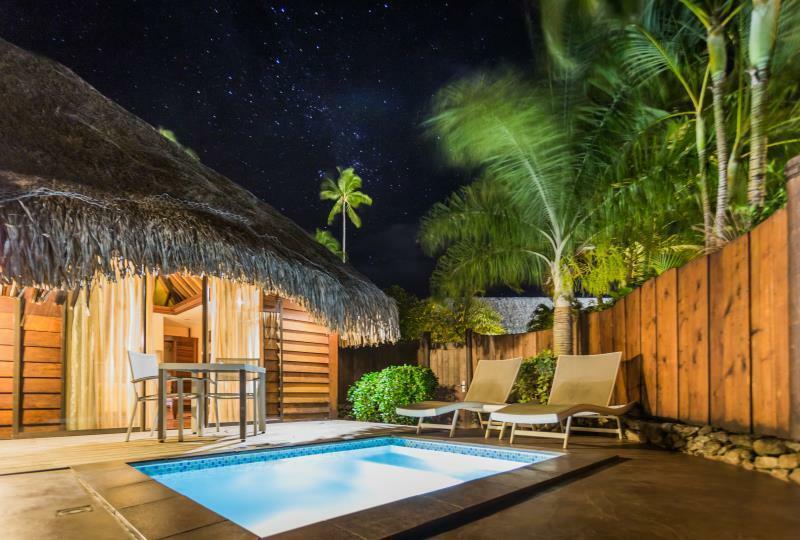 Thanks for staying with us on our beautiful island of Moorea . Yes the premium over wtaer is certainly a great experience and we are very happy that it will make you keep great memories . We wish you a great continuation of your journey through our pacific islands. Sunny regards! 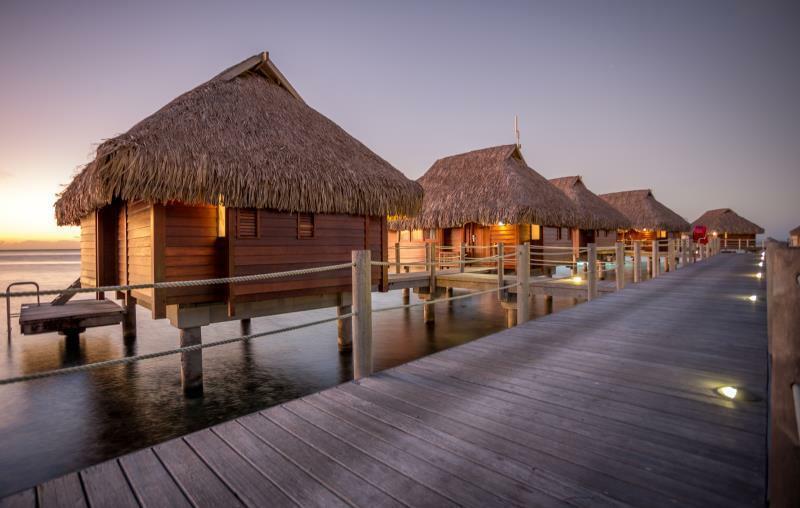 The deluxe over the water bungalows are worth the splurge! To have that experience at this value rate compared to the other local resorts was fabulous. The staff were wonderful and kind. Keep in mind the resort is very family friendly. Great to have use of snorkel gear, stand up paddle boards, and kayaks. Also handy is the rental car place across the street and the close town shops and eateries. We saw two black tipped sharks, sea turtle and sting rays from our bungalow...great snorkeling. This was our second stay at this hotel and we love it and want to come back. The location is great...close to shops and restaurants. Beautiful hotel...gorgeous overwater bungalows, rooms with a private plunge pool are great, we enjoyed that room as much as the overwater bungalow. The garden view rooms are great as well. Staff are friendly and helpful. You won't regret staying here. Very beautiful island. Everyone was friendly and absolutely nothing was a hassle. Loved the people and absolutely will return to Moorey. Have been to a lot of resorts throughout the Pacific and have enjoyed this location the most. Food & taxis are expensive but have the option of buying at the local supermarket which helps with breakfasts and lunch. Beautiful island. It was absolutely fantastic to go snorkelling straight off our balcony. The only problem was that in the afternoon it was too hot to sit on the balcony. You had to do that in the morning or at sunset. The fish were great but the coral was ordinary.The breakfast was good. If the only problem was because we had to much sun in the afternoon , I do beleive that you a had a good time with us. 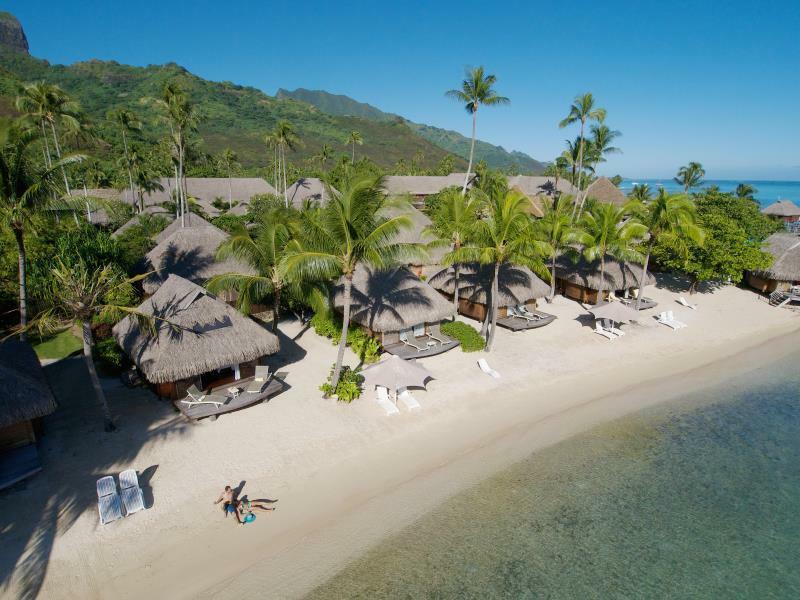 Thank you for staying at the Manava Beach Resort Moorea and thank you for taking the time to fill out a review . We hope to have the pleasure to welcome you again in a near future . Sunny regards . Stores & good restaurants in walking distance. Kayaks & Snorkeling equipment included. Food & drinks are expensive $30 meals, $20 burger, $16 drinks, but drinks were $8 from 5-7 everyday. Pros: location close to the shops and restaurants, the activities you can book through the resort, the water activity crew were so nice and friendly! Cons: the lagoon is shallow and the water is not blue (comparing to other resort in the island), the pool was packed no chairs or towels left when we wanted. Overall a good place if you want to do activities and stay out all day. This resort is a little small, which suited us perfectly. Our room was clean and everything was great at the resort. Perfect location within walking distance of a small village and well within a fairly quick taxi ride anywhere you want to go. The water wasn’t as pretty right out front of our overwater bungalow as some other locations because there is a drop off. But you can still see plenty of beautiful water just a little further out. We saw a lot of ocean wildlife also due to the drop off. (Turtles, sharks, sting rays, manta rays, and a large assortment of large and smaller fish) Only complaint is the bed was much too firm for our liking. Great location, really great dive center on site. Walking distance to market and offsite restaurants. Great bbq across the street and very good French bakery/cafe 10 min. walk. Would have give five stars across all areas but the resort is an older property slightly worn, but still great value for pricing. Loved it and would return again. Loved Manava Beach Resort. It isn't huge and ostentatious like Hilton or Four Seasons, which is a plus for us. It's smaller with a great island ambience. We were upgraded to an over-the-water bungalow, which was delightful. Loved viewing colorful tropical fish in the coral just off the beach. The restaurants were OK, but there are a couple of great places nearby, and they pick you up and drop you off at the hotel. They are Rudy's and Mahogany. We would definitely go back to Manava if we ever make it back to French Polynesia. Overall, I enjoyed my stay here. The water here doesn't look as phenomenal as it does down at the Sofitel, but the snorkeling is still great. And the prices are significantly cheaper than the Sofitel. The biggest issue I had was with the sporadic, very slow wi-fi. If you need to work while you are on Moorea, don't count on consistent wifi. (This seems be an issue across the island). Really enjoyed our stay at Manava - friendly staff, clean bungalow, beautiful setting. We liked that we could still walk down the street to a grocery, couple of restaurants, etc... Tour & car rental right across the street if you don't want to book at the hotel. The pool is great! 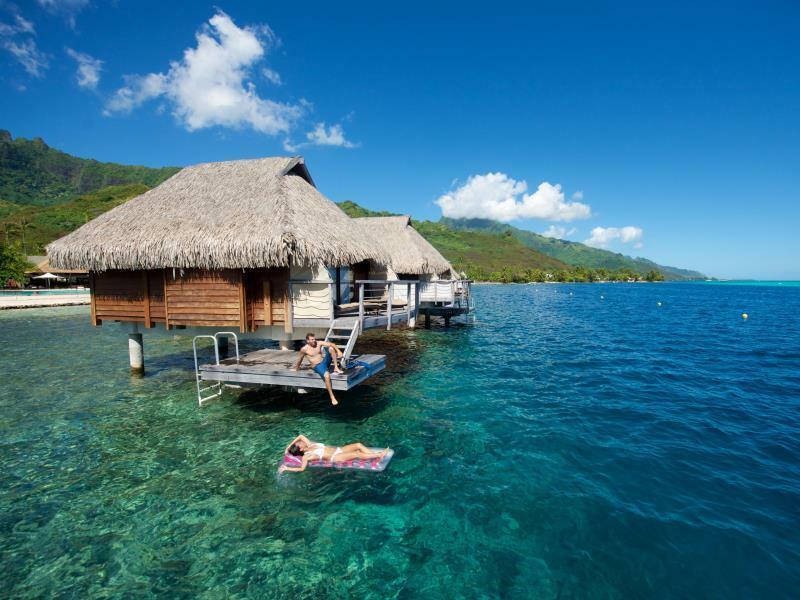 The Manava Bay Resort on Moorea is a great place. The facilities, food, and accommodations are all first class, and the people who work there are very friendly and helpful. 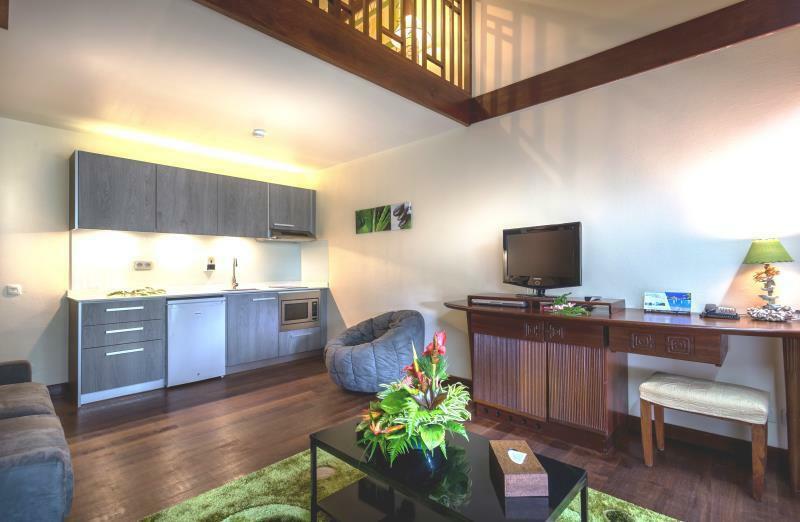 The location is, I believe, the best of any of the major resorts on Moorea, as it is relatively close to theferry terminal, but far enough to afford privacy. There's a small village adjacent with restaurants, shopping, and banks. 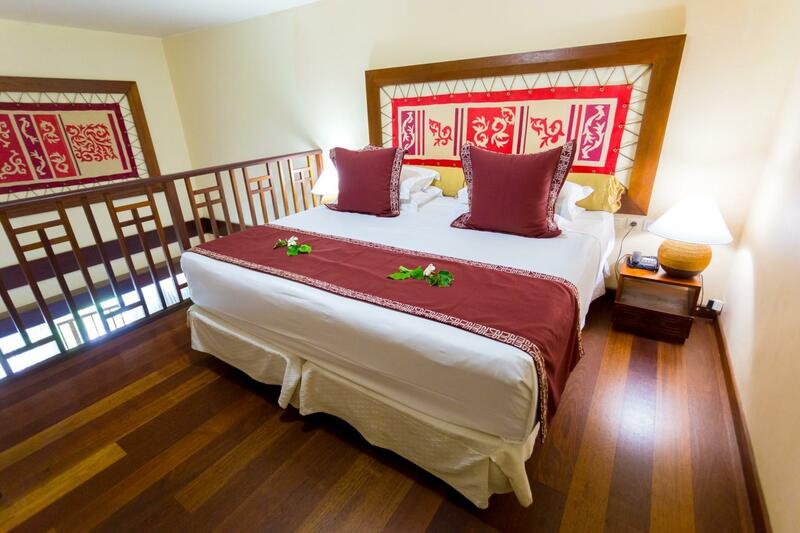 While at Manava Bay, we felt comfortable, cared for, and insulated from the everyday world. The over water bungalows are highly recommended. Neat! Perfect combination of attentive service yet relaxing atmosphere. Unlike other high end hotels, there is nothing pretentious here. Our overwater bungalow was spacious, good layout, comfortable beds, and awesome view, with privacy to boot! My husband and I visited this beautiful place first week of July for our honeymoon. We stayed in a bungalow over the water and had a fantastic time and a great view. We did upgrade to the premium bungalows so we could admire the sunset from the deck of our room and we did not regret our decision. 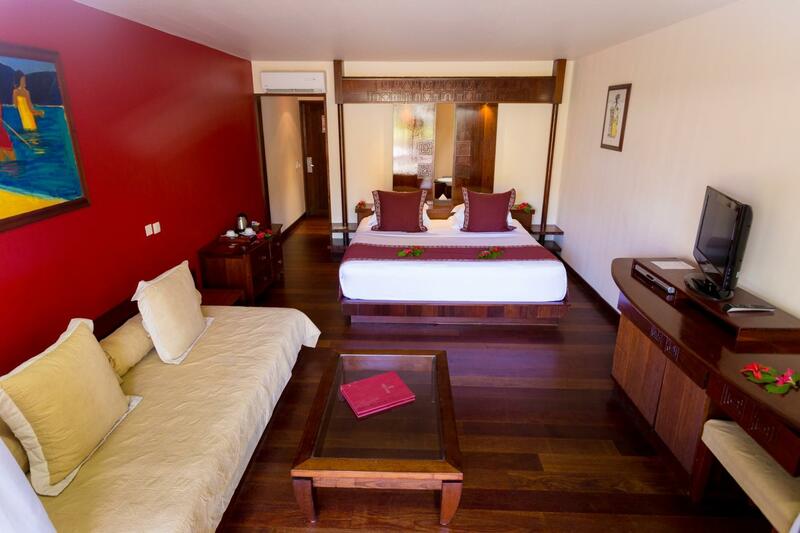 The room is very big and spacious and the snorkeling around is just amazing. We drove around the island and checked other hotels and were very happy with our resort. We thought that our hotel had the most beautiful pool setup, best waters for snorkeling due to the very deep portion by the bungalows and just the overall resort setup was more suited to our taste than the bigger resorts on the island. It is also very close to the grocery store and a bunch of very good restaurants. The breakfast was really good and we also had dinner a couple of times at the resort and we loved it. We can't wait to go there again, hopefully for one of our anniversaries. We also did one tour to feed the sharks. Our guide name is Mako and he also hosted a dinner one night and we went there as well. It was one of the best guides we ever had, very fun and the dinner at his house was fantastic. Beautiful island, beautiful people! Manava is an ideal-size resort with great staff, great vibes and plenty to do. It's picturesque and the concierges are very helpful in setting up any excerssion you can think of. We spent our honeymoon at Manava in Moorea and never once wished we would have included another destination. Highly recommend the resort. The entire team , joins me to thank you for staying with us. We are so glad that you enjoyed your stay. that we are anxious to have the pleasure to see you again in the coming years . Sunny regards and "Mauruuru"
We are a family of 5 and we stayed here for 8 nights. We snagged a deal on Agoda and received 25% off and the kids ate for free. It was an incredible deal!!! They had free paddle boards that we used daily. They also had free kayakas and snorkel gear. There wasn't a think they wouldn't do for us. We stayed in a garden view family loft. They did turn down service brought us cookies and wine etc. I would highly recommend it. It has the best pool compared to the Hilton and The Intercontinental. We checked those out too. Everyone was super friendly. The hotel is a 5 minute walk from the biggest village on the island which is a nice bonus. I'd stay here again for sure!! The only Con was the wifi. We couldn't get a signal in our room and it was sub par everywhere else. They did however invite us to use the office computer when our flight got changed so we could iron things out. A big yes to this resort! !